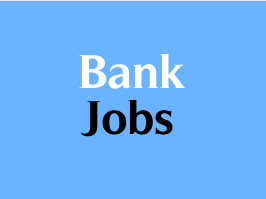 Bharatiya Mahila Bank has given a notification for recruitment of Chief Manager & Senior Manager vacancies. Eligible candidates can apply in the prescribed format on or before 05-03-2016. Educational Qualification: Candidates should possess Post Graduation in Risk Management/ Statistics/ Economics/ Financial Engineering / Risk Management for post 1, Graduation/ Post Graduation with Foreign Exchange/ International Trade/ International Business/ International Banking/ Import Export Policy/ International Finance/ Foreign Trade/ Export Management as a specialized subject for post 2, Minimum Graduation Degree in any discipline from a recognized University or any equivalent qualification for post 3. Age Limit: Candidates minimum age limit should be between 27-40 years. Selection Process: Shortlisted candidates will be called for personal interview and/ or G.D. Application Fee: Candidates have to pay Rs.600/- by Demand Draft in favour of “BMBL-Recruitment of Officers- Project 2016” payable at New Delhi. How to Apply: Eligible candidates may send application in the prescribed format, certificates, DD, recent passport size photograph to Dy. Gen. Manager (HR), Bharatiya Mahila Bank Ltd., Registered Office, 9th Floor, IFCI Tower, 61, Nehru Place, New Delhi by Speed Post/ Courier/ Registered Post or through email: recruitment@bmb.co.in on or before 05-03-2016. Envelope should be superscribed with the “Application for the post of Post Name,Post Code”. Date of Website Link Open: 10-02-2016. Last Date for Submission of Application: 05-03-2016.